Thank you for visiting another one of Kendall DCJR Soldotna's online listings! Please continue for more information on this 2018 Jeep Compass Latitude with 13,496mi. This vehicle has met or exceed our standards of excellence and is being sold as a Certified Pre-owned Jeep Compass. Treat yourself to an SUV that surrounds you with all the comfort and conveniences of a luxury sedan. Stylish and fuel efficient. It's the perfect vehicle for keeping your fuel costs down and your driving enjoying up. No matter the terrain or weather, you'll drive at ease in this 4WD-equipped vehicle. With exceptional safety features and superb handling, this 4WD was engineered with excellence in mind. This outstanding example of a 2018 Kia Sportage LX is offered by Kendall DCJR Soldotna. This Kia Sportage offers all the comforts of a well-optioned sedan with the utility you demand from an SUV. Few vehicles can match the safety and comfort of this AWD Kia Sportage LX. With enhanced performance, refined interior and exceptional fuel efficiency, this AWD Kia is in a class of its own. This is the one. Just what you've been looking for. There are many vehicles on the market but if you are looking for a vehicle that will perform as good as it looks then this Kia Sportage LX is the one! Thank you for your interest in one of Kendall DCJR Soldotna's online offerings. Please continue for more information regarding this 2018 Subaru Outback Premium with 15,793mi. On almost any road condition, this Subaru Outback Premium offers solid performance, reliability, and comfort. When it comes to high fuel economy, plenty of versatility and a great looks, this SubaruOutback Premium cannot be beat. This Subaru Outback's superior fuel-efficiency is proof that not all vehicles are created equal. This Subaru Outback features AWD. That means power and control delivered to all four wheels for maximum grip and improved handling. The look is unmistakably Subaru, the smooth contours and cutting-edge technology of this Subaru Outback Premium will definitely turn heads. Check out this gently-used 2018 Volkswagen Atlas we recently got in. Your buying risks are reduced thanks to a CARFAX BuyBack Guarantee. This SUV gives you versatility, style and comfort all in one vehicle. This Volkswagen Atlas 3.6L V6 SE comes equipped with all wheel drive, which means no limitations as to how or where you can drive. Different terrains and varying weather conditions will have little effect as to how this vehicle performs. This is the one. Just what you've been looking for. Thank you for your interest in one of Kendall DCJR Soldotna's online offerings. Please continue for more information regarding this 2006 Buick Rainier CXL with 0mi. How to protect your purchase? CARFAX BuyBack Guarantee got you covered. This SUV is a superb example of what a tough, work focused vehicle should be. Exceptional towing, acceleration and torque will help you get the job done. No matter the varying terrain or weather conditions, this all-wheel drive vehicle will help you reach your destination safely and securely in a well-appointed cabin with many features found on cars twice the price. The look is unmistakably Buick, the smooth contours and cutting-edge technology of this Buick Rainier CXL will definitely turn heads. 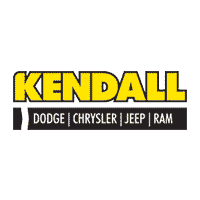 At Kendall DCJR of Soldotna, we understand that a new SUV doesn’t fit in everyone’s budget. So, we carry a large inventory of affordable used SUVs in Soldotna. You can shop our assortment used SUVs from a wide variety of automakers. With a myriad of options, we’re sure you’ll find something at our Soldotna used SUV dealership that fits your lifestyle and budget. We happily serve the Anchorage, Kenai, and Sterling areas. Not sure what size or style of SUV is best for you? Come by our used SUV dealership near Anchorage today and let our experts help you shop our inventory of used SUVs for sale. We have something for every budget, lifestyle, and family size. Are you looking for something equipped to handle tough off-road terrain or just want to easily navigate Alaskan winters? Shop our selection of used SUVs equipped with AWD or 4WD that will take you anywhere you want to go without any issues. If you’re in the hunt for a compact SUV, take one of our sporty crossover SUVs for a spin. We’re sure you’ll love the way they drive. Need more cargo space for your weekend getaways? A full-size SUV could be just the thing for you. Be sure to browse our 7-passenger SUVs that come equipped with a third row for extra seating, which are perfect for carpooling to school or soccer practice. While you’re here, pay a visit to our Finance Center and let our financial experts assist you in applying for a Soldotna car loan. You can also fill out our trade-in form to find out the trade-in value of your current vehicle with a free car appraisal. No matter if you’re in the market for a compact, midsize, or full-size SUV, Kendall DCJR of Soldotna is the used SUV dealer that has what you’re looking for. Contact us online or come see us today at 44055 Sterling Hwy Soldotna, Alaska 99669 to shop our used SUVs in Soldotna.